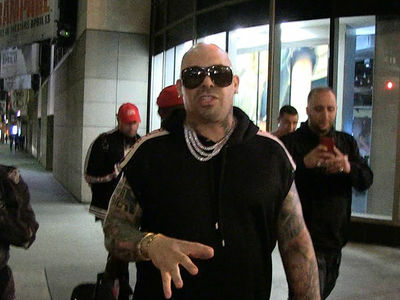 Belly and his personal bodyguard tried desperately to protect each other during an unprovoked attack by nearly 20 members of Coachella's security team. We've obtained another angle from Friday night's beatdown, you can see both Belly and his bodyguard trying their best to protect one another during the scuffle. 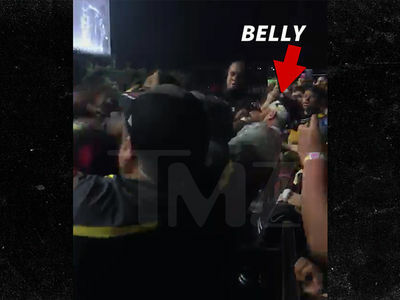 Our sources say Belly was walking into the artist area during The Weeknd's set when the incident happened. We're told Belly had all of the proper credentials to enter the section, which would make sense considering he performed at the festival earlier that day. 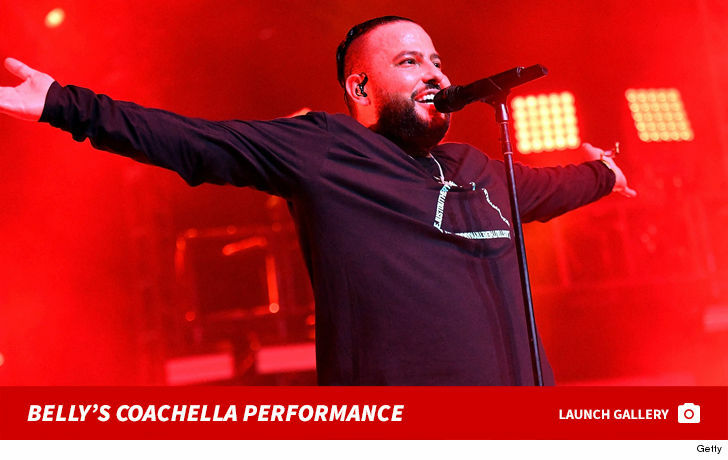 It's unclear exactly why Coachella venue security attacked the rapper ... the festival has yet to comment on the altercation. Belly took to Twitter after the incident, saying, "No negative bulls**t can steal my joy" and added earlier ... "I'm great y'all. I love you." He also got a shot in at the guards who went after him, saying ... "20 of you p***ies couldn't take me off my feet."